In order to participate in Nanso Group Oy's share issue you need your book-entry account number when doing the investment. You find it easily from your own online bank or from investment service provider's personal online service. If you don't have book-entry account yet, you can open one in your own personal online bank or contact some of the investment service providers. If you need any assistance or you have questions, please do not hesitate to contact [email protected] , we are happy to help! We have a bold vision to double our sales by 2023 and we are now looking for funds to fuel the growth! We all love authentic and inspiring brands that resonate with our personal values. Our brands address the growing consumer trends: authenticity, sustainability, well-being and Finnish lifestyle. Nanso-brand is highly valued for its Finnish roots. We operate two iconic, well-known fashion brands, Nanso and Vogue, which both have been completely renewed. 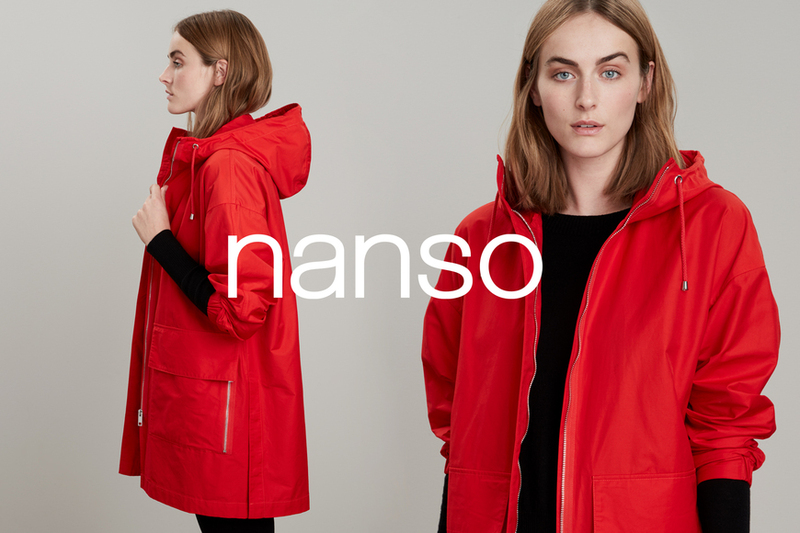 Nanso is one of the most well-known fashion brands in Finland [1, 2], established in 1921 in Nokia, Finland. 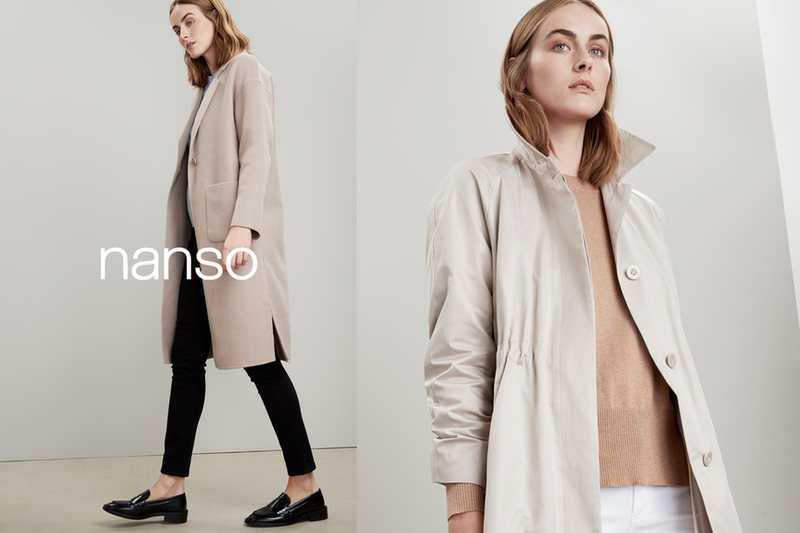 Nanso offers signature prints and wardrobe essentials inspired by relaxed and uncomplicated Finnish lifestyle. Vogue is an internationally recognized fashion brand , launched in 1934 in Malmö, Sweden. Vogue offers everyday luxury with perfect fit, designed with subtle details and premium yarns to generate a quiet sense of luxury. Finnish clothing business was suffering for a long time and we have had our share of tough times, but now we experience a growing interest in Finnish clothing and lifestyle brands, such as Marimekko, Makia, BYPIAS, Nosh, The Other Danish Guy, Gugguu, Papu, Billebeino, Finlayson, etc. Nanso Group Oy, the company behind the brands, has also been fundamentally renewed over the past 3 years: we have successfully implemented a fundamental change from a traditional clothing manufacturer into a modern brand company. Our new mode of operation is more consumer-driven and it has resulted in improved brand image, cost efficiency, lower net working capital needs and improved flexibility. Accordingly, our 2H18 turned profitable on EBITDA-level and we expect to make a positive result for the full year 2019 on EBITDA-level. From financial perspective, our vision is to double our sales and gain a healthy 10% EBITDA-level by 2023. 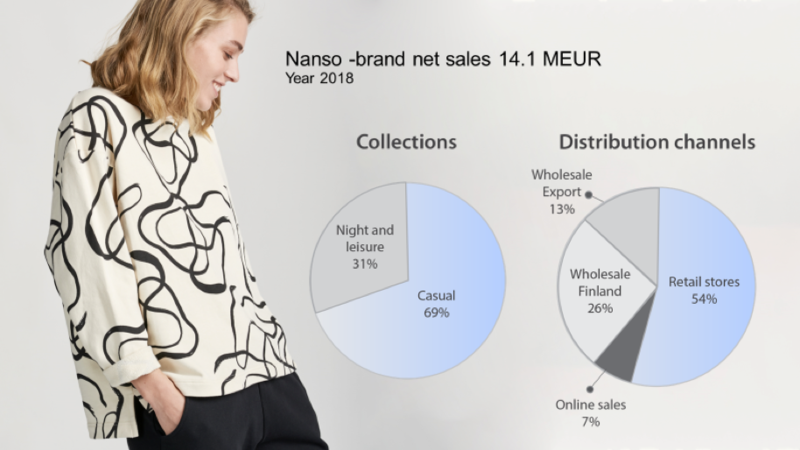 Our sales growth is driven by 3 main elements: omnichannel-driven retail business in Finland for Nanso-brand, international wholesale business for Vogue-brand and licensing business for both brands. 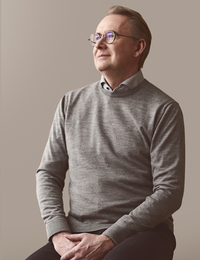 We already have tangible progress supporting each of these growth elements: sales of Nanso -products in our existing retail stores have already increased three years in a row (+45% from 2015 to 2018), wholesale pre-orders for 1H19 Vogue -products have already increased +23% (vs. 1H18), largest Finnish clothing retailer Prisma starts to sell Vogue products in their hypermarkets and we are starting two new licensing businesses with Nanso -brand in 2019. We are now seeking for additional funds to fuel the growth for our iconic Nanso and Vogue brands. Join us! You have potential for a great financial investment. We have solid growth potential for both Nanso and Vogue, and we have existing facts supporting our growth strategy. Our aim is to double the sales at a healthy 10% EBITDA-margin by 2023. As we are only at the beginning of our growth path, we feel the share price is still very reasonable compared to the growth potential. Our well-known brands and existing customers separate us from the start-ups, thus lowering the risks for investors. Provided that our business develops according to our estimates, our aim is to list the company’s shares in First North marketplace in 2021-2023 timeframe, providing a natural exit path for your investment. You promote sustainable, Finnish fashion. Make a difference. By helping us grow, you help us to fight against “fast fashion” and “throwaway culture”, which our planet cannot sustain anymore. We believe less is more: we should all buy less clothes and use them longer. Our products are built to last and we treat all people in our ecosystem with respect. For us, sustainability has been part of our values and actions for almost 100 years. You become an owner for the iconic brands. It is not everyday you have a chance to become an investor in a Finnish fashion and brand company, hosting two iconic brands, Nanso and Vogue. Both of the brands are authentic, inspiring, well-known and well-respected. Brands are the most valuable asset we have, together with the great people who develop and nurture them. This is your chance, join the “Nanso-team”! Enjoy the benefits of being an owner: hear about news and see the collections before others and be part of the larger team, which is now creating a new success story in Finnish fashion! According to a study by Finnish Textile & Fashion organization, 87% of Finnish women recognize Nanso -brand and 15% names Nanso -brand as their favorite brand (TNS Kantar Oy, 12/2017, internet interviews with 1052 Finnish women between ages 18-75). According to a Nanso -brand study by Nanso Group Oy, Nanso -brand is the 2nd most well-known women’s fashion brand in Finland (Dagmar, 9/2014, internet interviews with 512 Finnish women between ages 18-69). According to a Vogue -brand study by Nanso Group Oy, Vogue -brand is the 3rd most well-known hosiery brand in Finland (Dagmar, 9/2014, internet interviews with 512 Finnish women between ages 18-69). For many of us, clothes are not just clothes. They help us to reflect our personality, personal values and attitude towards life. Instead of meaningless buying from no-name companies or impersonal multinational retail chains, many people are looking for brands that are more intimate, inspiring and closer to their own personal values. Surrounded by abundance of choices, consumers search deeper meaning in the clothes they buy. Our brands support the growing consumer trends: authenticity, sustainability, well-being and Finnish lifestyle. These topics have been at the core of our operations from the beginning. People value authentic things in their life, not fakes. Unlike many other brands, our brands were not created by a marketing agency in a busy meeting room. Our brands and their stories are authentic and real. Our brands were established long ago, Nanso in 1921 in Nokia and Vogue in 1934 in Malmö. Both brands have their roots in production, creating a profound understanding on the product quality and underlying technology, enabling the best possible solutions to meet customer needs. For us, sustainability has been part of our values and actions for almost 100 years and we approach sustainability in a holistic manner. You could say that sustainability has always been one of our cornerstones, whether it is about taking care of personnel, reducing the environmental impact, ethical sourcing or safe products. We recognize that today’s clothing industry is far from perfect, but we all need clothes. There are no quick wins or easy solution to solve all the current problems the whole industry is facing, but we are 100% committed to make this world a better place to live. Read more about our approach on sustainability at www.nanso.com (in Finnish only). All in all, sustainability in a very complex topic, often evaluated from three aspects: (1) environmental responsibility, (2) social responsibility and (3) financial responsibility. Environmental responsibility. We want to fight against “fast fashion” and “throwaway culture”, which our planet cannot sustain anymore. We strongly feel we make the biggest environmental impact by creating high quality products that last time . Times of throwaway culture are hopefully over. We believe less is more: we should all buy less clothes and use them longer . Our products are built to last. We introduce new eco-friendly materials into our portfolio still this year, for example organic cotton for Nanso -products and recycled yarns for Vogue -products. All in all, our aim is to increase the share of sustainable materials in the coming collections. As examples of our environmental actions, we do not destroy our excess stock (what is left after discount season, we donate to local well-fare organizations), we recycle waste at all our offices, we use 100% renewable wind energy when possible and all the proceeds from the sale of plastic bags we donate to cleaning the Baltic Sea. Social responsibility. We are committed to increase the well-being of people and we treat all people in our ecosystem with respect. Transparency, trust, honesty as well as fair and equal treatment are some of the values we want to nourish, at our own offices, stores and throughout the supply chain. We have been part of the BSCI-initiative for more than 10 years, even though we recognize that it does not solve all the issues in our supply chain. We have a genuine interest towards the well-being of people who make our products in the factories. Our approach is to use long-term manufacturing partners that share our expectations on quality and sustainability. Many of our suppliers are smaller family-run businesses, just like us. We never e.g. choose a supplier based on the lowest cost only. Financial responsibility. We want to increase the financial well-being of our stakeholders. For our shareholders, we want to provide returns on their investments. For our suppliers, we pay fair price for their services and we never e.g. use price-driven auctions to drive down the prices. For our employees, we want to ensure business continuity to support their families. For the society, we want to be a good corporate citizen and pay all taxes in Finland. It is worth noticing, that when you buy a 100 EUR dress from one of our Nanso -stores, more than 80 EUR stays in Finland in the form of wages, rents, taxes, etc., benefiting the local society. Whereas if you buy a 100 EUR dress from an international online store, app. only 10 EUR stays in Finland, mainly as a delivery fee . Well-being is not only about the ultimate comfort and perfect fit that our products provide, but also about having a clear conscience on the choices we make. Ultimately, we should all feel good and enjoy life. Today’s modern woman wants to live a well-balanced life, combining work, family and own free-time. 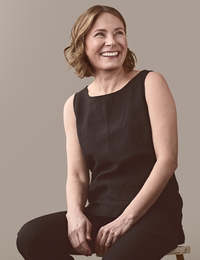 She favors ease-of-use, comfort and care-free products that make her life a bit easier. Other similar trends, such as “hygge” (cosiness and comfortable feeling) and “athleisure” (casual, comfortable clothing designed to be suitable both for exercise and everyday wear), are also related to well-being. Since the beginning, Nanso-products have been known for the unique combination of quality, comfort, ease-of use and style. Vogue-products deliver everyday luxury with perfect fit. We are proud of our old Finnish roots. Our Finnish lifestyle is often characterized by honesty, trust, openness, practicality and Finnish “sisu” (perseverance). Our design is often inspired by our uniquely clean Finnish nature. There is a growing interest in Finnish clothing and lifestyle brands, especially in the fast-growing Asian markets, as Asian’s have a strong interest towards Nordic brands and Finnish life-style. Nanso Group Oy, the company behind the brands, has also been fundamentally renewed over the past 3 years: we have successfully implemented a fundamental change from a traditional clothing manufacturer into a modern brand company. Story. For many Finns, Nanso is a truly beloved brand that has a long and colorful history. The story of Nanso brand begins in 1921 in Nokia, Finland, where a group of local business men founded a dyeing factory, which soon expanded into clothing production. Over the decades, Nanso became a pioneer of casual clothing with high-quality printed jersey products forming our specialty and heritage. 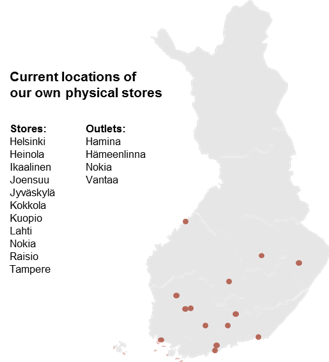 Nanso has deep Finnish roots connected to the Finnish lifestyle. Today, Nanso has been completely renewed and is now facing the beginning of a new era. Read more about our story at www.nanso.com (in Finnish only). Brand and Design. 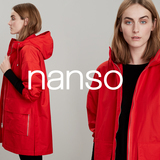 Nanso is one of the most well-known fashion brands in Finland [7, 8]. Over the past 3 years, Nanso -brand has been renewed, making it fresh and modern. 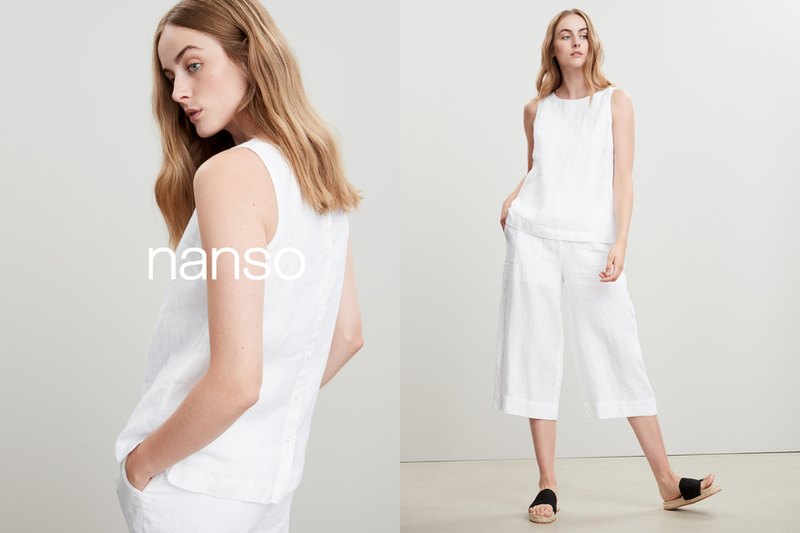 Nanso offers signature prints and timeless wardrobe essentials inspired by relaxed and uncomplicated Finnish lifestyle. All our great products are designed in Helsinki, Finland, by our passionate design team. One of our principles is to design beautiful products that last time, in terms of quality and style.. We want Nanso to be the first choice for women, who value sustainable lifestyle, authenticity and beauty of everyday life. Our mission is to create authentic Finnish design by combining style and comfort in a unique way. We design products that make life not just more beautiful, but also easier. Today, we have a big crowd of loyal consumers: 75.000+ newsletter subscribers, 52.000+ Facebook-followers and 7.000+ Instagram-followers, and the numbers are growing. Products, sales and distribution. In the past, Nanso has been known especially for its colorful print designs and jersey-based nightwear products. Today, however, app. 80% of Nanso-sales is fashion products (i.e. normal casual collection) and only app. 20% nightwear. We have extended our product portfolio to cover knits, jackets, jeans, jumpers, cardigans, accessories, etc., but jersey-products still form the core of our product portfolio. In the coming seasons we continue expanding the offering into new product types. In 2019 we will launch a new Nanso Home -collection, including e.g. ceramics and home textiles. Wholesale: in addition to Finnish customers, Nanso-products are currently sold also in Sweden, Holland, Denmark and many other countries. Customers include larger accounts, but also small specialty retailers. 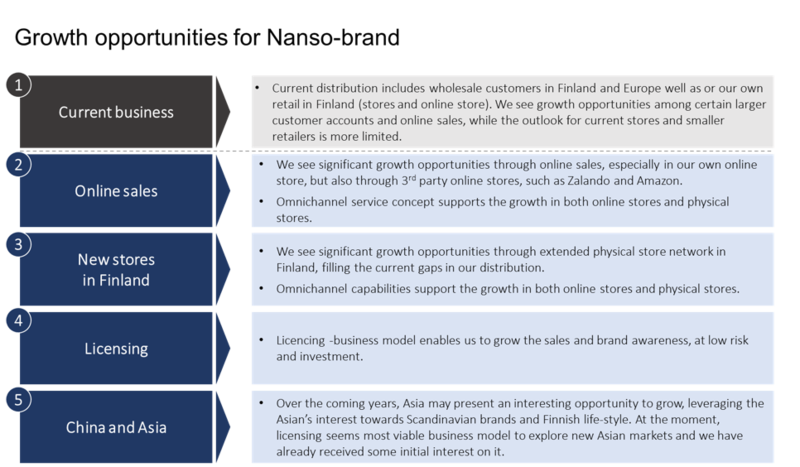 Retail stores: we have 15 retail stores in Finland and sales of Nanso-branded products have been growing already for three years in a row, +45% from 2015 to 2018. Online store: we have reached new, younger consumers (25-34 and 35-44 years being the biggest age groups) and our online sales boomed +40% from 2016 to 2017. Growth. With Nanso-brand, our sales growth is limited by our current distribution. We aim to exploit the superior brand awareness in Finland for Nanso and grow the sales especially through omnichannel retail approach, i.e. building a seamless interplay with a modern online store and extended network of retail stores. To grow our sales for the Nanso-brand, we need to renew our online store, establish new retail stores and connect them in a seamless way. Supply chain and sourcing. Jersey and woven products are produced mainly in Turkey and Portugal, whereas knitwear and jackets come from China and scarfs from India. All our suppliers are committed to the BSCI Code of Conduct. Those suppliers who operate in so called “risk countries” are directed to an auditing process. We have a central warehouse in Pennala, Finland, who ships the products to our customers world-wide. Read more about our supply chain and sustainability at www.nanso.com (in Finnish only). Story. In August 1934, a major Swedish sock producer by the name of Aktiebolaget Malmö Strumpfabrik, registered the Vogue -brand as a trademark for women’s socks and hosiery. Already at that time, the vision was to build a premium brand offering pieces of luxury for the modern woman. 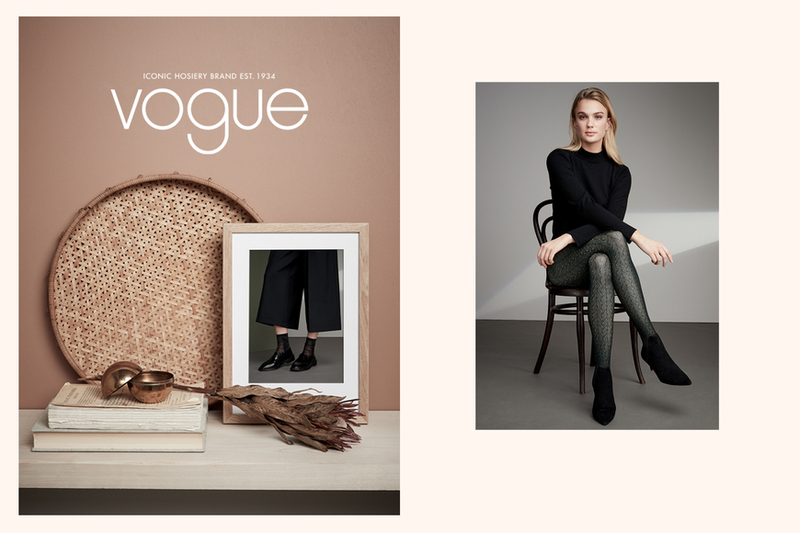 Today, Vogue continues to be one of the most prestigious hosiery brands in the Nordics. Read more about our story at www.vogue.fi. Brand and Design. Vogue is a well-known fashion brand and one of the most recognized premium category hosiery brands in Finland , and it is also well established in the other Nordic countries. 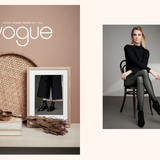 Nanso Group Oy owns international trademark rights for Vogue in socks and pantyhoses. All our great products are designed in Nokia, Finland, by our passionate design team. Vogue offers everyday luxury with perfect fit, designed with subtle details and premium yarns to generate a quiet sense of luxury. We want Vogue to be the most preferred hosiery brand for the contemporary women, who value high-quality, perfectly fitted legwear with accessible prices. We are passionate about creating a piece of luxury for everyday life. Rather than being a mere necessity, Vogue pantyhoses and socks are the elegant detail that gives the finishing touch to an outfit. Products, sales and distribution. The strength of the Vogue collection is a highly competitive and wide range of high quality sheer hosiery products such as functional knee-highs and tights, fashionable seasonals and basic everyday products. The collection is complemented by products made with luxurious natural fibers: cotton, wool, cashmere and alpaca. Vogue-branded sales were app. 3,5 MEUR in 2018. Vogue-products are currently sold in the Nordics, Baltics and Russia mainly through department stores and specialty retailers. App. 8% of Vogue-sales come from our own retail stores in Finland. Currently we are piloting online sales of Vogue -products in nansoshop.com and we are considering to establish Vogue-branded online store. Vogue-products can be purchased online through our resellers, such as Nelly, Bootz and Ellos. Growth. With Vogue-brand, we aim to exploit the well-known fashion brand and grow the sales through international wholesale customers, especially in the (hyper)market segment. After reaching a trademark agreement with the Vogue magazine publisher and the non-competition agreement expired (related to the sale of brands), we have excellent prospects to expand the sales significantly. We aim expand through geographical expansion (Russia, Baltics, Eastern Europe and Asia in the first phase) and new sales channels (mainly hypermarket distribution). 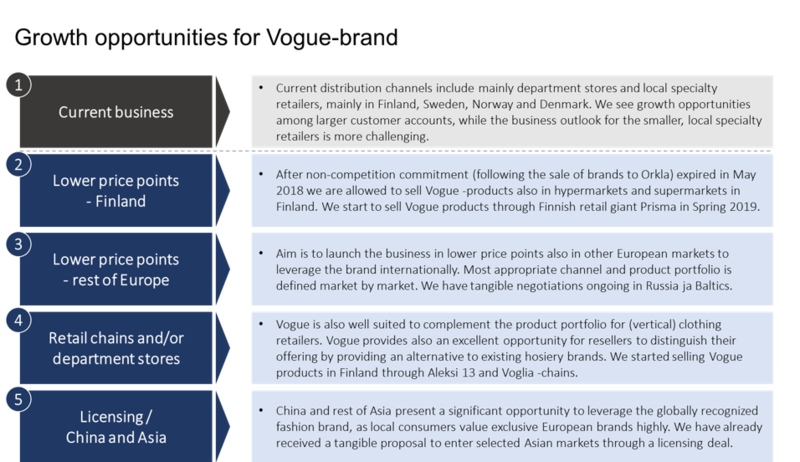 The first agreement for this expansion is already in place: Prisma, the largest clothing retailer in Finland, starts to sell Vogue-products in Spring 2019, offering a nationwide platform for growth. We have similar negotiations ongoing in Russia and the Baltics. Licensing provides an easy and scalable way to expand to new markets; we have already received tangible proposal to license Vogue-brand to selected Asian countries. Therefore, Vogue provides a strong platform for growth. Supply chain and sourcing. Vogue-products are produced mainly in Italy, Estonia and Serbia. All our suppliers are committed to the BSCI Code of Conduct and those suppliers who operate in so called “risk countries” are directed to an auditing process. We have a central warehouse in Pennala, Finland, who ships the products to our customers world-wide. 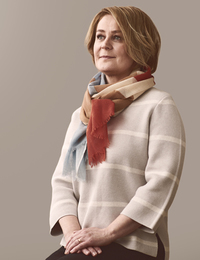 Read more about our supply chain and sustainability at www.vogue.fi. Based on Nanso Group’s own analysis of a typical cost structure of a product. We operate a flat and scalable organization. As of 31.12.2018 we employed 103 persons, out of which 69 in our retail stores, 28 at our Helsinki office, 4 at our Nokia office and 2 at our Stockholm office. Apart from growing the number of retail stores and related sales staff, we do not foresee significant need to increase our headcount to implement our growth strategy. Our organization is built in a matrix. Our Management Team has an excellent mix of people, some with extensive fashion industry experience and also out-of-the-industry professionals bringing their own expertise. Our Board of Directors has a mix of experienced Board-professionals and also owners in the 4th generation. Maria leads our Vogue-team with analytical mindset and broad consideration. 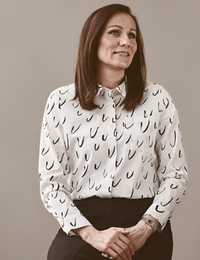 Jenni is a people-focused business developer, who leads our Retail Stores. 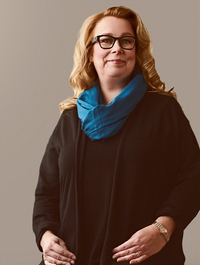 Liisa is our multitalented and cheerful Marketing Director, who creates positive buzz around our brands. Sixten is our seasoned sales director, who has versatile experience in fashion business. Jukka is our efficient, multitasking CFO, who handles also HR-matters. 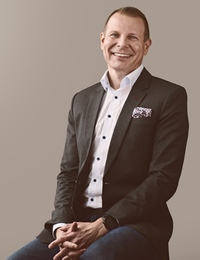 Antti is our fact-based CEO, who leads our operations from the front, with his own example and positive approach. Noora is a visionary and experienced designer, who is responsible for developing our Nanso -collections. Eevaliina has extensive career within clothing design and impeccable eye for color coordination, which she uses in developing our Vogue -collections. 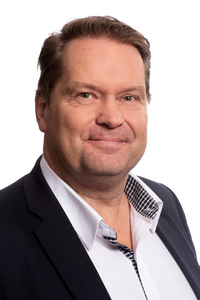 Juha is one of the main shareholders in the 4th generation. 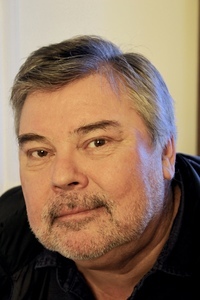 He is a pioneer in the Finnish wine business, having established several wine related businesses in Finland and running his own vineyard in France. Vesa has broad and versatile experience in finance and law related matters through his previous positions at HPP Attorneys, Valio and Elisa, among others. 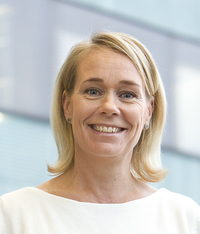 Nowadays Vesa enjoys being a board professional and an advisor for many companies. 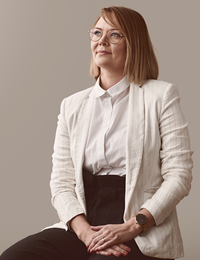 Ursula has over 20 years of experience in building brands and working in the FMCG segment, most recently at Stockmann, Lumene and Iittala Group. 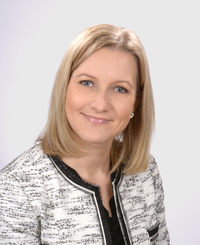 Pauliina is a marketing and communications professional with 20 years of business management experience, e.g. at Docrates Syöpäsairaala, GE Healthcare and Vaisala. 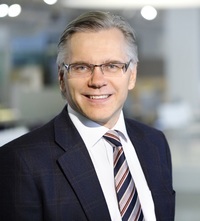 Mikko is one of the main shareholders in the 4th generation. 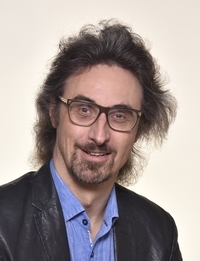 He is also one of the main owners at TamErgo Oy and a commissioner for Pro Musica Foundation. 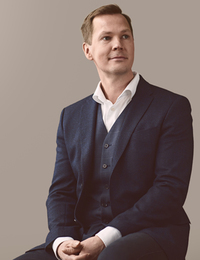 Eero has gained extensive experience in leading companies, driving businesses on Board-level and making private equity investments through his leadership positions at Sentica Partners, Isku Group and Assa Abloy Group, among others.